Chester County Hypnosis believes our clients should be accurately and honestly informed about Hypnotism and Hypnotherapy. Located in West Chester, PA, we are convenient to Philadelphia, Malvern, Downingtown, Coatesville, Kennett Square, Exton, Paoli, Delaware County, Wilmington, Reading and all of Southeast Pennsylvania. We have successful programs for Weight Loss, Stop Smoking, Fears and Stress Relief. Call us at 610-296-4929. These are some of the common questions we are asked by our clients at Chester County Hypnosis. We find that by answering these questions, we are able to correct almost all of our client's misconceptions about Hypnosis and then can start informing and educating them about what Hypnosis and Hypnotherapy really ARE and how they can utilize it in their lives to their maximum advantage. WHO CAN AND CAN'T GO INTO HYPNOSIS ? DOES HYPNOSIS WEAKEN THE WILL ? CAN I BE MADE TO DO THINGS AGAINST MY WILL ? DO I ALWAYS HAVE TO TELL THE TRUTH IN HYPNOSIS ? AM I PHYSICALLY SAFE IN HYPNOSIS ? WHY AM I SAFE WITH CHESTER COUNTY HYPNOSIS ? ARE YOU DOCTORS OR PSYCHOLOGISTS? IS THIS TREATMENT ? WHAT DOES IT FEEL LIKE TO BE HYPNOTIZED ? WILL I REVEAL ALL MY DEEPEST SECRETS IN HYPNOSIS ? DO PEOPLE HAVE TROUBLE EMERGING FROM HYPNOSIS ? IS HYPNOSIS AGAINST MY RELIGION ? WILL I FALL ASLEEP IN HYPNOSIS ? WILL HYPNOSIS GIVE ME A "HANGOVER" ? WHAT IS AUTO SUGGESTION ? WHAT CAN SELF-HYPNOSIS DO FOR ME ? 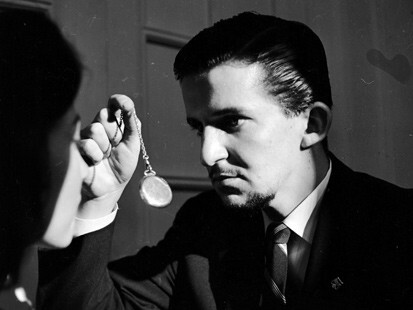 HOW DOES SELF-HYPNOSIS DIFFER WITH A HYPNOTIST ? WHAT IS THE SUBCONSCIOUS MIND ? WHAT ARE THE FACTS ABOUT STAGE HYPNOSIS ? DOES CHESTER COUNTY HYPNOSIS WORK ? Hypnosis is usually nothing like what people have come to believe. It is a natural state of mind we go in and out of every day and has been used by man from ancient times as a way to overcome our mental barriers and establish desired behaviors. It is fully researched and documented and fully approved by the American Medical Association. In essence, it means you are in a state of mind where you are open, and highly suggestible to acceptable suggestions, nothing more, nothing less. You are not unconscious, asleep, immobilized, controlled, manipulated, tricked or in another dimension. You are merely very open to receiving and accepting suggestions that you agree with and open to allowing them to become established as your actions. For an example, we can now see how and why millions of people have successfully Quit Smoking through hypnosis. When clients come to me to quit smoking, lose weight or overcome fears, they must be completely decided, determined and convinced that they want to change their habits for good. Once they are committed, I have the right mental attitude to make the change happen. The problem we always have is getting our conscious thinking (We want to change) from that conscious mind to our subconscious mind, where our habits live. In order to change that we need our belief, commitment and motivation. With Hypnosis, we can give those acceptable suggestions directly to the subconscious mind and establish new behavior, in this case, that you don't smoke, over-eat or be fearful anymore. See, even though we really wanted to stop smoking, our subconscious mind always subjectively thought of us as smokers and was preventing any change in that. That is why old habits are so hard to break and it's tough to teach an old dog new tricks (even though we aren't "old dogs"). The natural function of the mind to provide us with stability and core beliefs and it can work against us when we want to make rapid positive changes. This is why hypnosis is such an effective method for us to facilitate quick, complete and lasting changes in our long-standing beliefs and behaviors. Hypnosis works and works extremely well in changing habits. I've had thousands of succesful clients over the years. There has never been a documented case of harm coming to anyone from the use of hypnosis either by a Hypnotherapist, Hypnotist or oneself (Self-Hypnosis). The overwhelming positive benefits of hypnosis are something that we Hypnotherapists would very much like more people to know about. We feel that for every client we help make positive changes in their lives, there are probably a thousand others who are unhappy, struggling and suffering because they either are not aware that hypnosis can help or have inaccurate information and beliefs about hypnosis and feel either that it can't or wont work for them. WHO CAN AND CAN'T GO INTO HYPNOSIS? Anyone with an open mind (want and is unafraid to experience hypnosis), reasonable intelligence (can understand what is being said to them), and is able to concentrate (follow directions), can achieve the states of hypnosis. At Chester County Hypnosis, we only need you to bring your willingness and desire to change, I can guide from there for you, because, after all, this is your hypnosis, is a part of you and belongs to you and is there for your benefit and welfare. If you notice, we all regularly go in and out of hypnotic states of mind every day. Have you ever driven anywhere and couldn't remember the specifics of the trip? Have you ever found yourself daydreaming ? No one has ever been recorded as being hypnotized against their will. The hypnotist merely assists the subject, who hypnotizes himself. All hypnosis is self-hypnosis and a completely natural, built-in mechanism for us to make rapid positive change. No, just the opposite, in fact regular Self Hypnosis can greatly strengthen it. Hypnosis is really working with your will, your desire to change, your commitment and motivation to make the change happen. Being able to make your desired changes through hypnosis usually removes a great deal of frustration and makes you feel darn good about yourself and what you have accomplished. CAN I BE MADE TO DO THINGS AGAINST MY WILL, MORALS OR VALUES? No, absolutely not. That is one of the most wonderful things about the nature of hypnosis that make it so wonderfully safe for us. Svengali and The Manchurian Candidate show us the amount of selectively misrepresented information that has been used in books and movies over the years. Fantastic stories about mind control sell just like stories of zombies, ghosts and werewolves. By reading our FAQ, you'll see that the truth is that hypnosis is well known about, quite thoroughly accepted and routinely used by thousands every day. Nobody can be made to do anything in hypnosis, it is all about your choice and what you really want to do and accomplish. Remember, it's your hypnosis and always belongs entirely to you. DO I ALWAYS HAVE TO TELL THE TRUTH IN HYPNOSIS? No more so than in the normal waking state. That is a good example of how much control you really have in hypnosis. You also won't achieve the hypnotic state of mind or accept any suggestions if you don't want to, you are in full control. My business is built on my success with what people want to do. AM I PHYSICALLY SAFE IN HYPNOSIS? This is a very common question that clients often don't ask, but have some fear about. You are completely safe while in a hypnotic state of mind, as much or even more so than in the normal waking state. We are fully in control, awake, aware and alert and if anything should happen that requires us to act, we can do so instantly. We can naturally and automatically change states of mind very quickly (for example when driving) and are always in possession of all of our normal faculties. In fact, scientists have shown that our senses can be up to 200 times more alert and acute while in hypnosis and there are documented cases where people could hear inaudible sounds and read from the phone book from across the room. WHY AM I SAFE WITH CHESTER COUNTY HYPNOSIS? I believe in doing everything possible to make my clients feel safe and secure while they are with me. I work in accordance with the Code of Ethics and Professionalism of the National Guild of Hypnotists, the oldest, largest and most respected Hypnotist accrediting organization in the world. I provide all my clients with copies of the NGH Client Bill of Rights, which outline all of my client privacy policies, client contact information for state and national organizations for ethical, professional or other questions or concerns and our outline of services and rate structure. All of my sessions are fully documented and electronically recorded and any information would only be released with written authorization by the client. When clients come to us through physician referral, I am also bound by the HIPPA laws. When you come to see me, you are #1 and what you want to accomplish is my goal. Believe it or not, other Hypnotists can only get 5% to 20% success with clients. I regularly get 95% success and have a nice refferral business becuase of it. ARE YOU DOCTORS OR PSYCHOLOGISTS? IS THIS TREATMENT? No, I am a nationally certified hypnotist, not a physician, health care professional, therapist or counselor. I do not do diagnosis, treatment, therapy or counseling, I do hypnosis to help people make desired changes that can help improve their lives, often dramatically. I am not in the Medical or Health Care field and, under most cases, you are not covered by your traditional health insurance plans (Some Flex and Alternative Benefits programs will reimburse my services) unless referred to us by your physician or health care provider. Our general services are very similar to that of consultants, personal coaches and motivational experts and we help normal people with normal issues, such as to Stop Smoking, Lose Weight or Reducing Stress. We have had great success helping our clients overcome issues such as fears, undesired habits, recalling lost memories, improved concentration and learning (SAT Tests, Board Exams and preparing for presentations and performance especially)pain relief, insomnia, stuttering, nail biting, sexual dysfunction, however we require our clients to be under the care of and referred to us by a physician. A referral form for them to fill out and sign is here, or a formal prescription with diagnosis and instructions is generally sufficient. Hypnosis is always a very pleasant feeling of complete physical and mental relaxation. In order to bypass the critical faculty, we have to relax our conscious mind and stop analyzing everything. Doing that is a wonderful feeling and is the same as daydreaming, watching a good movie and sometimes highway driving. It is also the same as that moment between knowing you are awake and going into the sleep state at bedtime. WILL I REVEAL ALL MY DEEPEST SECRETS IN HYPNOSIS? In hypnosis you are fully awake, aware and won't do anything that you wouldn't do normally in the full waking state. Hypnotherapy can be utilized to help people uncover unconscious motivations or beliefs that are preventing positive change for them, but that is only possible with their full cooperation and consent and their subconscious mind will always protect them from recalling or revisiting any time or memory that would do them harm. DO PEOPLE HAVE TROUBLE EMERGING FROM HYPNOSIS? In some very rare cases, a person may become very deeply relaxed and choose to stay in that deep state of physical and mental relaxation after an experienced hypnotist has asked them to emerge from it. The reason for this being that it is usually such a wonderfully relaxed feeling of peace, comfort and enjoyment that they simply prefer to stay in that deeply relaxed state awhile longer. They are completely aware, wide awake but just choose to stay relaxed. The state is wonderful to remove stress, remove pain and discomfort and your body and mind can become refreshed and rejuvenated. Hypnosis does not go against or is discouraged by any of the major religions I am aware of. In fact, some of the early pioneers of hypnosis were religious clergy and the various states of prayer, meditation and reflection are all of the same physical nature as that of hypnosis. WILL I FALL ASLEEP IN HYPNOSIS? Usually only if you are very tired and after a hard day and it has more to do with sitting down in a comfortable chair than hypnosis. That is why we don't like to schedule appointments for clients after they work. The ideal time is earlier in the day when our mind is relatively clear and we are physically alert. Also, the effectiveness of the suggestions and the ability to change is increased, so I really try to impress upon my clients is to make the time in your schedule for your hypnosis to get the full value and effectiveness from it. WILL HYPNOSIS GIVE ME A "HANGOVER"? No, outside substances and strong emotional reactions are the only things that I know of that cause a "hangover". 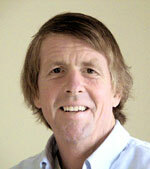 People find they emerge refreshed and renewed from hypnosis and feel great. Most of my clients go about their day or return to work and report that they felt much better, more awake, alert and rested than normal. Techniques exist by which one can attain a state of self hypnosis and gain complete relaxation under the most stressful conditions. In this state the subconscious mind is open to therapeutic suggestions. I use Self-Hypnosis with my Weight Loss and Stress Relief programs. Auto Suggestion is basically giving yourself acceptable suggestion. It's like talking to yourself. While it is not as naturally effective for rapid change as working with a hypnotherapist, some benefits come with repetition over time and the continual reinforcement and strengthening of the desired thinking. Meditations and affirmations are less effective forms of this and with the teaching and guidance of a skilled hypnotherapist, this can be transformed into a highly effective tool that can really enable you to take control of your life and go in the directions that you want. Self Hypnosis can help you make a wide range of positive changes, develop a greater understanding of yourself, become more motivated and self-assured, remove stress and build self esteem. Peace of mind and positive outlook are two of the most often mentioned benefits by our clients and different people can certainly gain different benefits according to their individual needs and desires. My clients who get the best results do it on a daily basis. With some practice, it can be done very effectively in a very short period of time (2 to 3 minutes), can be done virtually anywhere without anyone else being aware of it and can be done as much as you'd like without any danger. Instant learning and photographic memory methods are based on self-hypnosis and now most champions in the various sports use it to improve their performance, training and game concentration. You can overcome your undesirable habits, such as being messy, disorganized or overly worrisome with self-hypnosis and regain your self confidence. You now know that success is actually within your easy reach, and erasing harmful emotions leads to a happier and healthier life. HOW DOES SELF-HYPNOSIS DIFFER FROM HYPNOSIS WITH A HYPNOTIST? Self Hypnosis is fantastic for positive thinking, reinforcing desired thoughts and behaviors and making changes that are just beyond your normal reach. It also helps you to relax, reduce stress and be more efficient. Working with a Certified Hypnotist, you can accomplish rapid change for your most pressing issues, uncover the obstacles that are holding you back and learn the correct techniques for effectively using Self Hypnosis. Self Hypnosis is also wonderful for strengthening and reinforcing the rapid changes accomplished with the hypnotist. In that way you can insure that your new way of thinking becomes permanent. The American Heritage Dictionary of the English Language defines the mind as follows: "The collective conscious and unconscious processes in a sentient organism that direct and influence mental and physical behavior." The conscious mind is basically anything we are aware of, such as knowing that someone is sitting next to us, knowing what is happening in the TV show we are watching and the ability to reason, both inductively and deductively. Our will power is also part of our conscious mind, which explains some of the inherent weaknesses of it. We can view the conscious mind as our "NOW", allowing us to function in our environment safely, yet lacking the permanency of experience and learning. The subconscious mind is everything else of what we are. In fact our subconscious mind is well over 90% of who we are. It controls our bodily functions (unconscious mind), it stores every experience we have ever had and holds our habits, values, emotions, morals and beliefs. It is our "Being" and "Doing" mind. Most of this thinking is established when we are between 5 and 10 years old and act as the guiding force in our lives. Our habits, values, emotions, morals and beliefs can only be changed when the subconscious mind accepts new thinking as stronger than the current thinking. Remember, it can't evaluate or analyze, only accept or decline. When this established thinking is acted upon, it becomes stronger and more ingrained in us. That is why old habits, having been constantly repeated and reinforced over the years, are so difficult for us to break, where relatively recent ones are much easier. The critical faculty of our Conscious Mind acts like a filter to the subconscious and measures the relative strength of new thinking as it is presented by the conscious mind. It rejects over 99.9% of our new thinking, unless it is completely acceptable and stronger than our current thinking. So, you can begin to see now how that with hypnosis we bypass the filter and bring the new thinking directly to the subconscious mind. However, even though it is better thinking and totally acceptable, such as not smoking versus smoking, the subconscious still needs it to be stronger to fully accept it and act on it. That is where the skills of the Hypnotherapist come into play in insuring that the suggestions are worded in such a way that they are impressed so strongly on the subconscious mind, that the new thinking replaces the old. Always remember that you must always thoroughly want and accept this new thinking, so any suggestion that the hypnotherapist may give you that you don't really want or accept is instantly rejected. That is how your mind protects you from harm. Thinking, therefore accepted and established in the subconscious mind must from that point be acted upon. It is a rule of the mind and never varies, the subconscious will always act in accordance with established thinking. That is why Hypnosis is so successful. Chester County Hypnosis is often asked about what people have seen on TV or in Stage Hypnosis shows and often they assume what we do is the same thing. The answer is "yes" AND "no" and we want to explain several of the important points about what you saw and what we do. The participants at shows are always volunteers and are hand-picked by the performer for their desire to have fun, their willingness to abandon any inhibitions, their natural ability to go quickly into a suggestible state of mind and their desire to go along with the program and follow directions. How can the Stage Hypnotists know all of that in a few moments? Easy, they are trained how to do it, are fantastic at it, do it all the time and just keep getting better at it. Even though you may see the participants in a stage show do some fairly bizarre things, they never do anything against their will, nor violate any of their own moral codes. The performing hypnotist is not only highly trained in the selection process but a master at getting and holding your attention on what they want your attention on. Many suggestions are not accepted by the participants in a stage show, but the skill of the performer in the presentation prevents you from noticing that. A little known fact also is that many people who attend Stage Hypnosis shows do so regularly, volunteer whenever possible and have a great time doing it. When you think of it, where can you laugh and have fun like that and "ham" it up and not be afraid of looking like a fool? In a Stage Hypnosis show, you never have to explain yourself and people love those who participate in the performance. I will do some Stage Hypnosis for special functions and events and it is amazing fun for everybody if done with care and respect. Do keep in mind it is a specialty use of the powers of suggestion and very elaborate in it's technical execution, even though it is meant to seem spontaneous. Chester County Hypnosis provides clients with proven, tested services that help make the difficult but needed changes that immediately makes the difference in happiness and satisfaction. Stop Smoking for Good, Successful Weight Loss Management and Managing Stress are just a few of our popular programs that will help you take back control of your future. Hypnotism has proven to have the quickest, easiest and most long lasting results for you to stop smoking cigarettes or cigars, stop using smokeless tobacco or stop chewing Nicorette gum. You can have quick and permanent weight loss, improve sports performance, relieve stress and tension, improve your sleep or insomnia, eliminate your fears, change bad habits, improve your memory, recall and concentration or control pain without prescription drugs. With Hypnosis and Self-Hypnosis, you can have increased motivation, less procrastination or laziness, a positive, optimistic outlook and enjoy your life much more. Chester County Hypnosis could be helping you now, so call 610-296-4929 today for a free consultation. We'd be glad to answer any questions that you may have. Chester County Hypnosis believes that clients always come first and my services all are designed for maximum benefit to those who want my help. Life is tough, and there is no reason to make it tougher on ourselves. Our highly successful hypnosis and hypnotherapy programs and sessions will help you to finally take control of your future. Joseph Nunan CH is an internationally known, fully Certified Hypnotherapist, Certified Hypnosis Instructor and member of the Teaching Faculty of The National Guild of Hypnotists, the oldest, largest and most respected hypnosis accrediting organization in the world. Chester County Hypnosis operates according to the National Guild of Hypnotists' Code of Ethics and Professionalism, and we consistently provide our clients the very best services, to help them accomplish and surpass all of their desired goals. Our primary purpose is to enable our clients to quickly and easily achieve positive personal change. Whether it's Hypnosis for Weight Loss, Hypnosis for Stop Smoking or Hypnosis for Eliminating Bad Habits, we can help you improve your life quickly and effortlessly.